This particular model was made in high gloss finish combined with aluminum which together gives a top quality impression. Handle-less push to open aluminum coated doors gives the furniture a smooth and very modern look. 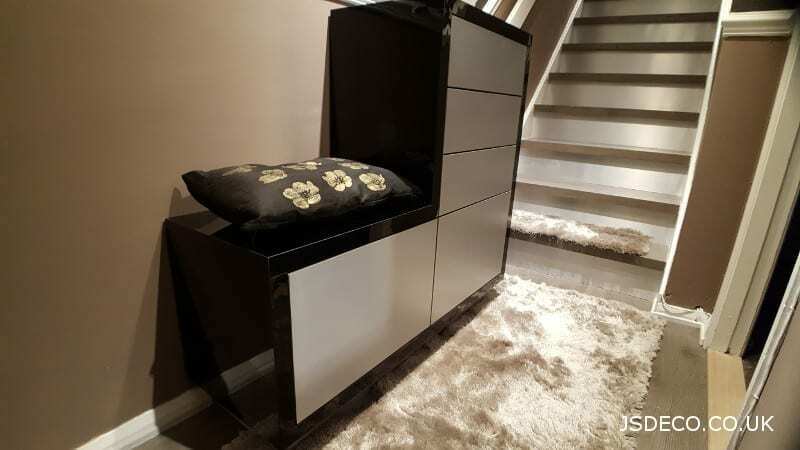 The lower part of the cabinet was made that way to give the possibility to use it as a seat and put shoes on comfortably. 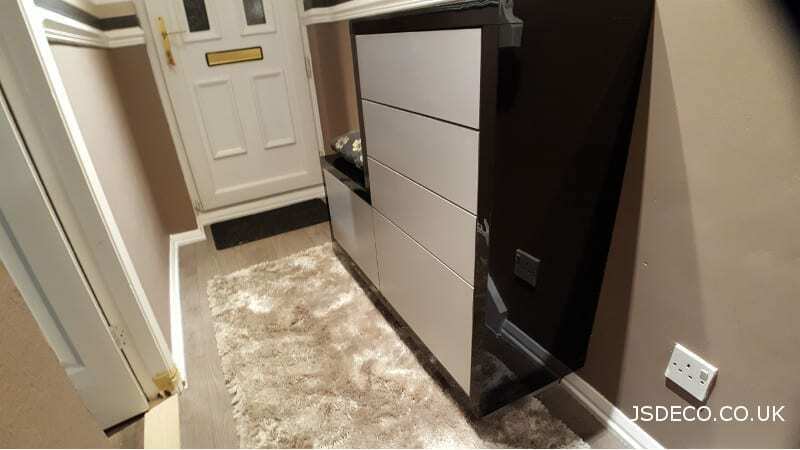 The unit has got five compartments in the depth of 350 mm which in this particular corridor was the compromise between available space and capacity of the cabinet but also suit exactly to the biggest size of owner shoes placed horizontally. There is also enough room to use as a storage for any useful odds and ends. 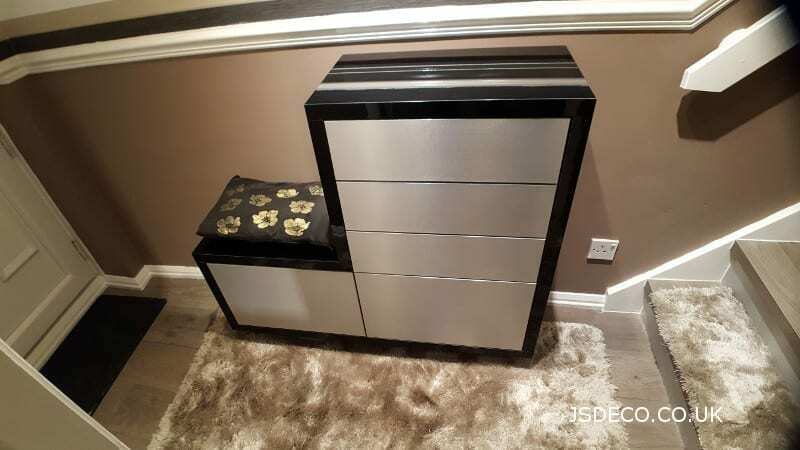 This cabinet is the first element of the design line ( clothes hanger, tv unit, wardrobe, drawer chest, etc.) which would give customer possibility configure whole house in the consistent style. 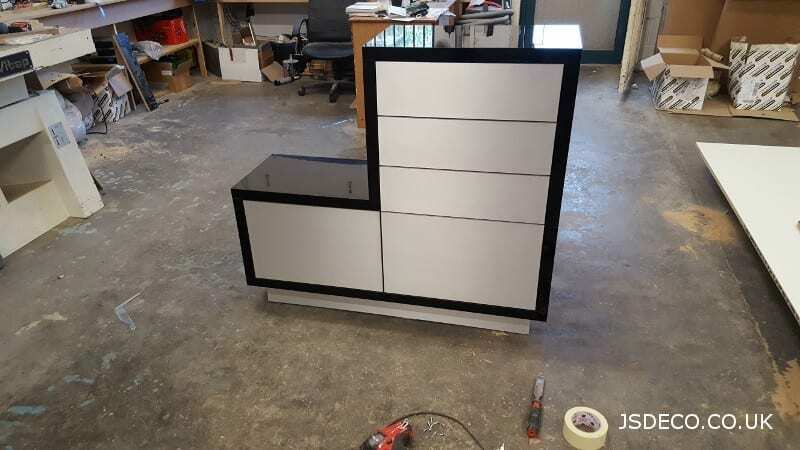 The specificity of our production gives us the flexibility to provide furniture in a wide range of colors and sizes for private and commercial customers. Older PostModern industrial style kitchen in Park Hill Sheffield. Newer PostModern High gloss kitchen furniture for Urban Splash and SIG.